Last year, the Phillies’ didn’t have a reliable arm in the bullpen to pitch the eighth inning. Mike Adams has filled that role nicely this year overall, except for last night. Aside from the Phils’ bullpen’s less-than-stellar performance, here are a couple of other observations from last night’s game. Click on the attached images for larger versions of last night’s scorecard. 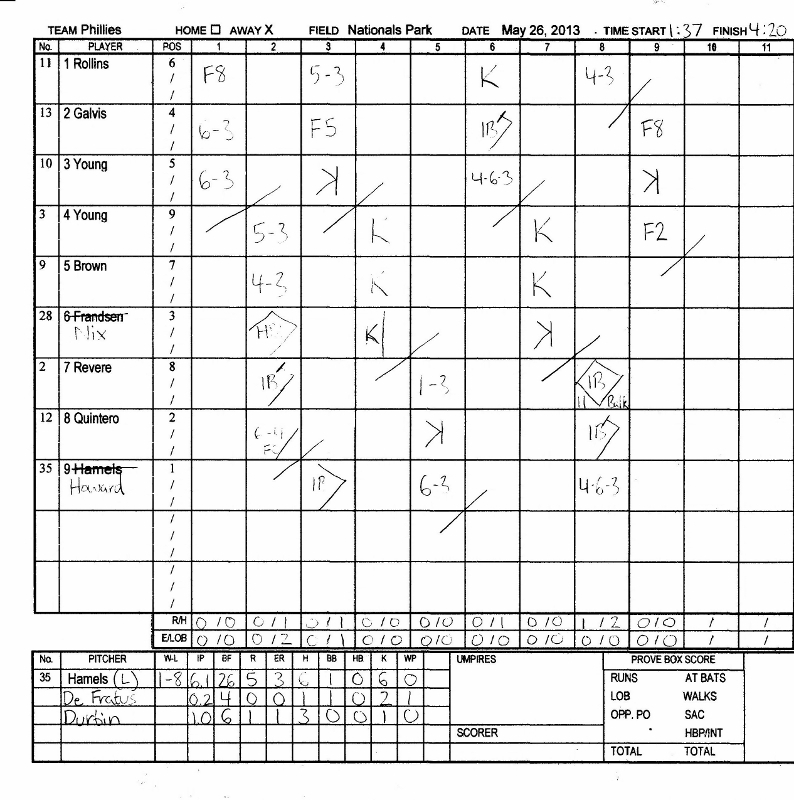 This entry was posted in Baseball, Philadelphia Phillies, Sports and tagged 2013 season, baseball, charlie manual, erik kratz, ezequiel carrera, major league baseball, philadelphia phillies, phillies, phils, scorecard on April 25, 2013 by section426. Despite the fact that I didn’t make any pre-season predictions for the Phils in 2013, I’ll make some predictions with 98.77% of the season remaining. 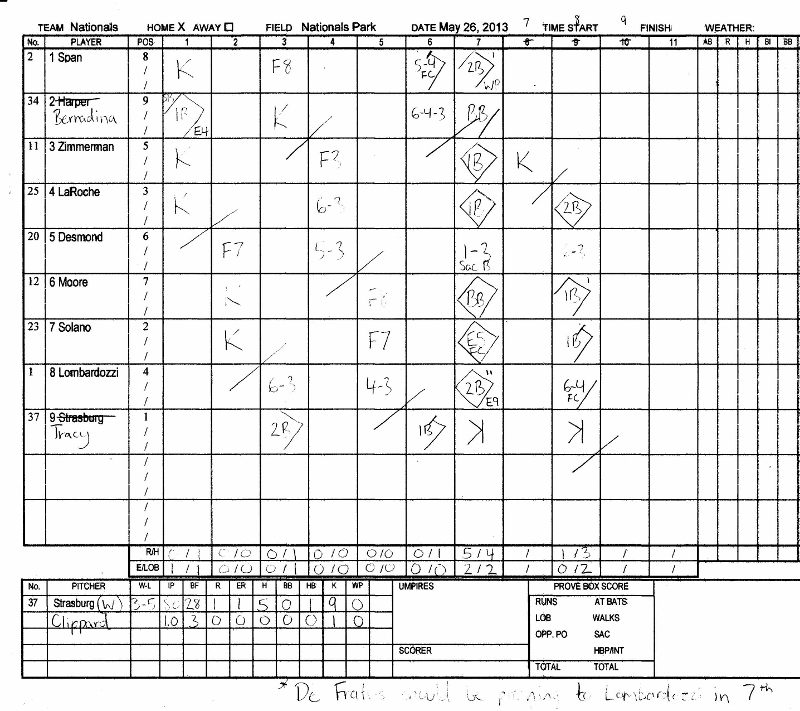 This entry was posted in Baseball, Philadelphia Phillies, Sports and tagged atlanta braves, braves, chase utley, jason heyward, justin upton, philadelphia phillies, phillies, predictions, roy halladay, scorecard on April 4, 2013 by section426.